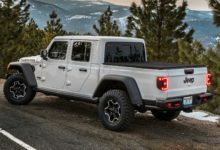 Forum member JTRUBI (Chris) managed to have a recent online chat with the design manager of the fan favorite Jeep Gladiator Wayout Concept, providing us insight into a few interesting tidbits on the concept and Gladiator. The biggest reveal is that a 37″ spare tire will indeed fit the spare tire area underneath the truck, as long as it’s aired down! This should no doubt please Gladiator owners planning to upsize their tires. 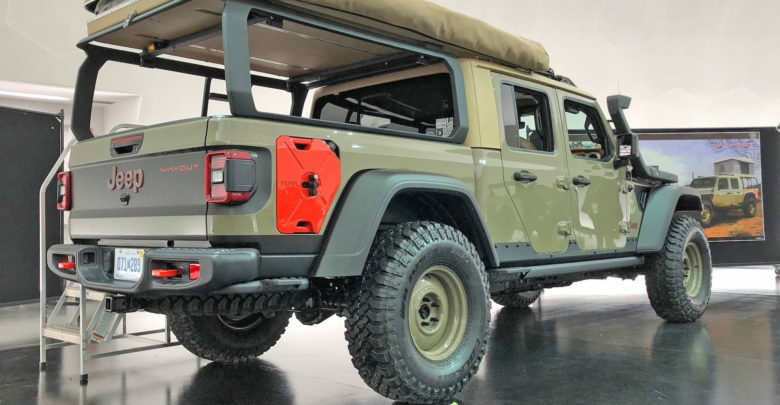 The official line from FCA is that spare tire area fits up to a 35″ tire and anything larger will require modification (from our Q&A). 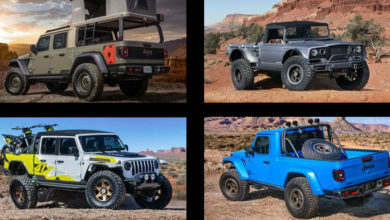 The design manager also responded to a question about half doors for the Gladiator, to which he gave a hopeful “non-reply”. Info was also provided on the Wayout Concept’s wheels, which are Stock Series 51 wheels. More info/discussions are inside.